This concluding module attempts to synthesize the key learning points discussed during the course of the previous ten sets of modules on methodology and biostatistics. The objective of this module is to discuss how to present a model research proposal, based on whatever was discussed in the preceding modules. The lynchpin of a research proposal is the protocol, and the key component of a protocol is the study design. However, one must not neglect the other areas, be it the project summary through which one catches the eyes of the reviewer of the proposal, or the background and the literature review, or the aims and objectives of the study. Two critical areas in the “methods” section that cannot be emphasized more are the sampling strategy and a formal estimation of sample size. Without a legitimate sample size, none of the conclusions based on the statistical analysis would be valid. Finally, the ethical parameters of the study should be well understood by the researchers, and that should get reflected in the proposal. National Institute of Allergy and Infectious Diseases has classified all the emerging infectious diseases agents under three categories. Among Category A priority pathogens comes Bacillus anthracis –the causative agent of Anthrax. It is a gram positive spore bearing bacteria, and the disease is typically associated with grazing animals, and affects the people as a zoonosis. The disease can be classically transmitted by three routes namely: cutaneous, gastrointestinal and pulmonary, with a fourth route recently identified as “injection anthrax”, seen in intravenous drug abusers. Cutaneous anthrax is the commonest form in humans, accounting for 95% of all the cases. There are two main virulence factors of this bacteria, a capsule and an exotoxin, each carried by a separate toxin. Two models have been used for explaining the pathogenesis of this infection. The earlier one or “Trojan horse” model is now replaced with “jail-break” model. Centers for disease control (CDC) has issued updated guidelines for diagnosis, post-exposure prophylaxis and treatment. For immunization, anthrax vaccine absorbed is available. Over the past 30 years, at least 30 new infectious diseases have emerged to threaten the health of millions of people across the globe. The major challenge to combat these infections is that for many of them, there is no specific treatment or cure or vaccine. There is limited scope of preventing or controlling them. The contributory factors include urbanization and destruction of natural habitats, climate change and changing ecosystems, changes in population of reservoir hosts or intermediate insect vectors and microbial genetic mutation, international trade and commerce, change in human demographics and behavior, lack of public health services and infrastructure, and antibiotic resistance. It is clear by now that the problem of emerging infectious disease (EID) is not restricted to any single country, and a strong and sustainable international collaboration will be needed in their prevention and control. India along with other countries in the South-East Asian region will continue to bear the brunt of the burden of EIDs in years to come. Many known and unknown factors play a synergistic role in the emergence or re-emergence of some infections in a particular area or country. In recent years, India has seen a significant increase in the prevalence of many viral or bacterial diseases. 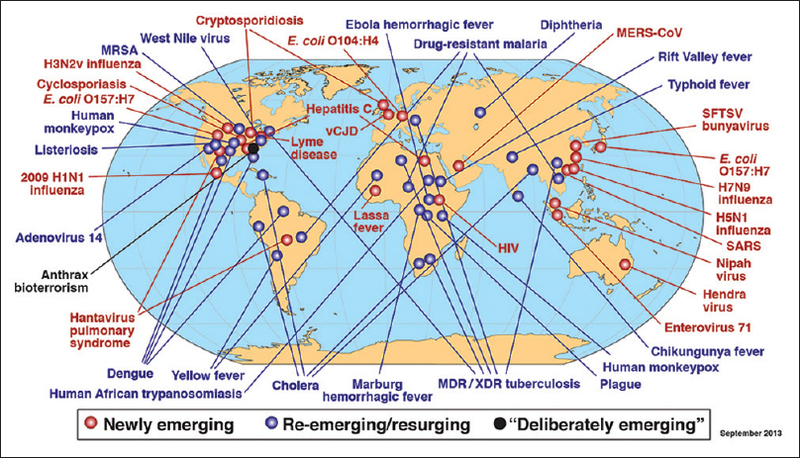 Many are vector borne and are zoonotic disease while others have different source and mode of transmission. These diseases are often associated with high morbidity and mortality. Five important diseases such as leptospirosis, dengue, chikungunya, Japanese encephalitis, and leishmaniasis have been discussed in this article. Scrub typhus is caused by Orientia tsutsugamushi (formerly Rickettsia) and is transmitted to humans by an arthropod vector of the Trombiculidae family (Leptotrombidium deliense and L. akamushi). It is the most common re-emerging Rickettsial infection in India and many other South East Asian countries. In fact, scrub typhus is confined geographically to the Asia Pacific region, a billion people are at risk and nearly a million cases are reported every year. 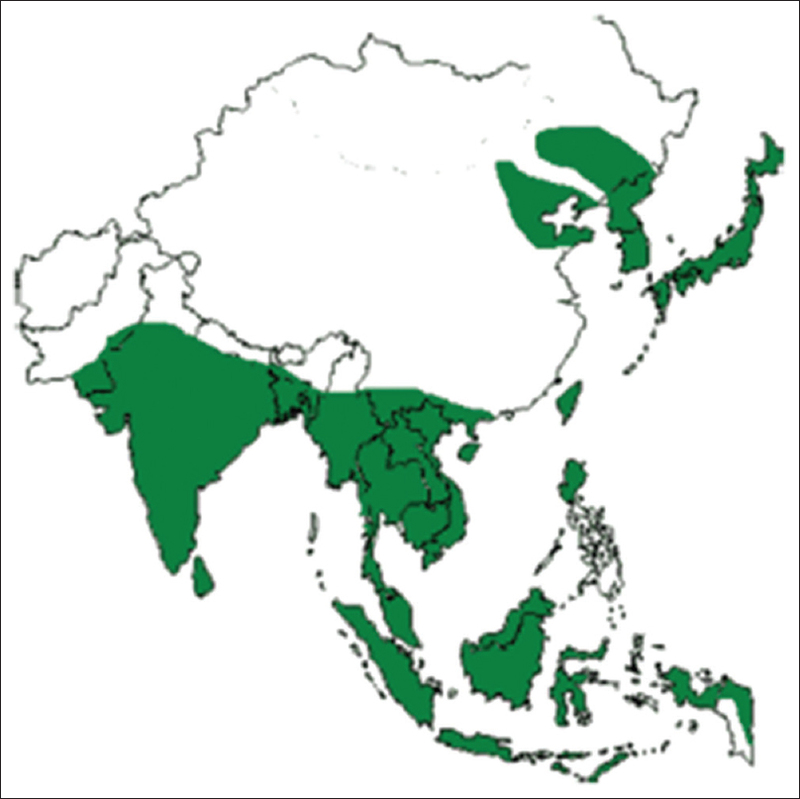 Scrub typhus appears particularly to be distributed in the tsutsugamushi triangle which is distributed over a very wide area of 13 million km2 bound by Japan in the east, through China, the Philippines, tropical Australia in the south, and west through India, Pakistan, possibly to Tibet to Afghanistan, and southern parts of the USSR in the north. Eschar is the characteristic lesion that starts as a vesicular lesion at the site of mite feeding. 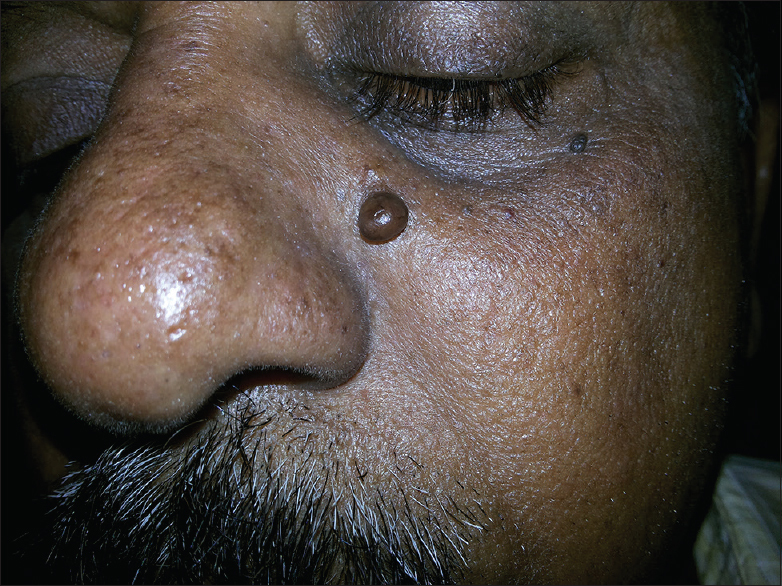 Later, an ulcer forms with black necrotic center and an erythematous border along with regional lymphadenopathy. 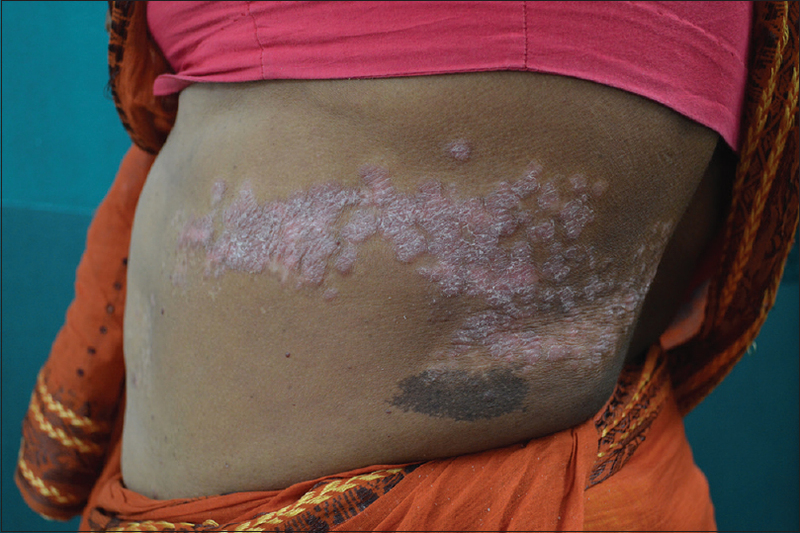 Other features are fever, maculopapular rash starting from the trunk, and spreading to the limbs. It may affect the central nervous system, cardiovascular system, renal, respiratory, and gastrointestinal systems. Serious complication in the form of myocarditis, pneumonia, meningoencephalitis, acute renal failure, gastrointestinal bleeding, and even acute respiratory distress syndrome may develop. Tetracycline or chloramphenicol remains the main stay of therapy. Introduction: Hand, foot, and mouth disease (HFMD), an enteroviral disease has emerged as a major emerging infection in India. This is caused most commonly by enterovirus 71 (EV71) and coxsackievirus A16 (CVA16) but can also be due to CVA4-10, CVA24, CVB2-5, and echovirus 18 (Echo18). 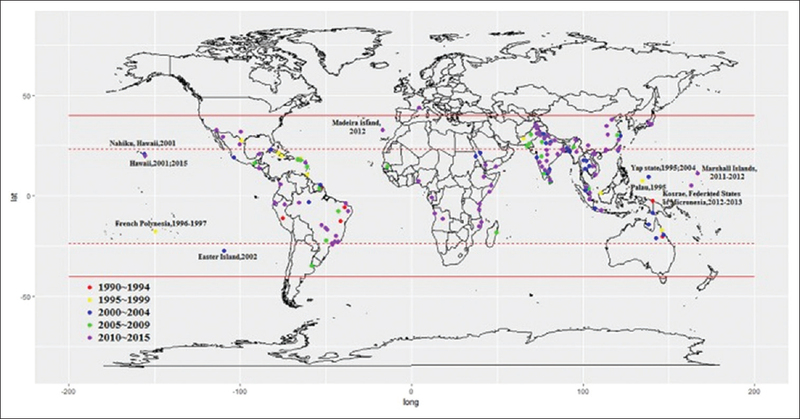 Virological analysis of the cases of HFMD has been infrequently done in India. West Bengal is one of the worst affected states in India. Objective: To document the clinical and etiological aspect, the changing patterns and clinic-virological correlation. Method: a total of 62 samples of throat swab were collected from affected children over 3 successive years in Kolkata, West Bengal, India. Result: Five cases had a previous history of HFMD during the last 1–5 years. Fever was usually of mild degree (highest 102°C). There was no apparent correlation between fever of >100°C and a positive test. There was no correlation of viral strain and clinical severity. A test positive for the Viral RNA was noted among 64.51% (40/62) cases. Multiple strains were characteristically present in each year. CVA6, EV71 were found in 2013, CVA6, EV71 in 2014, and CVA6, CVA16 in 2015. Conclusion: Presence of multiple strains explained the frequent occurrence of relapses. We expect this small study will serve as an important document for all future studies on HFMD. Background: Acne vulgaris is a common disease among adolescent. There is paucity of information on knowledge and understanding of acne patients about their condition. Objective: This study was carried out to evaluate beliefs and perception of acne patient toward their understanding of disease, treatment option, and information source. Materials and Methods: A cross-sectional study was conducted on acne patients by means of a questionnaire during 2013–2014 at MMIMSR, Ambala. 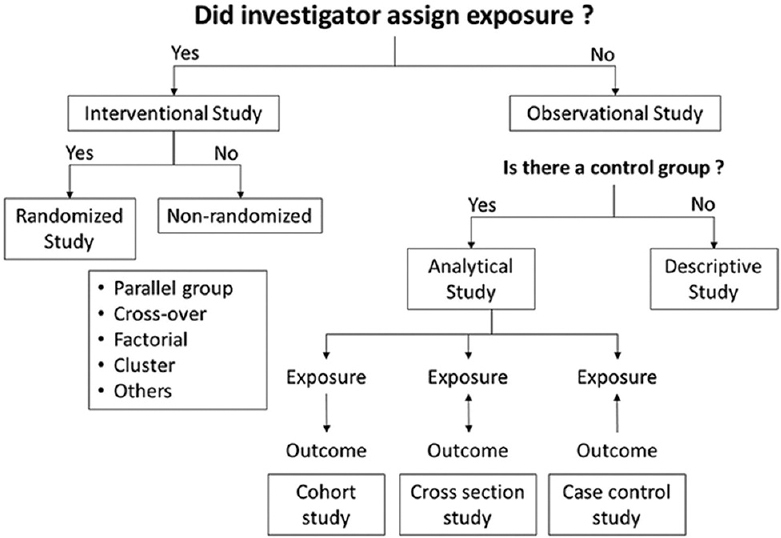 An adapted version of questionnaire of Brigitte et al. was used and was modified to suit Indian sentiments. Results: A total of 200 acne patients were participated in the study. Mean age of participants was 19.80 years. Male:female ratio was 2:1. 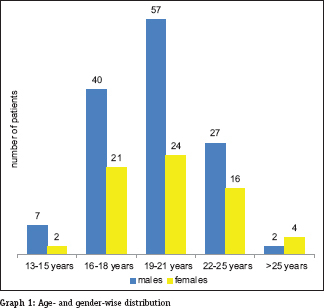 Causes implicated were diet (85%), puberty (65%), and mood swings (46%). Fatty food and stress were most common agents held responsible for acne flaring. Popular sources of information were friends and parents. 102 patients had used steroids one way or the other. Acne was considered curable by 65% with an anticipated duration of treatment lasting up to 12 months. Conclusion: Misconceptions are widespread among the population. A health education program is needed which should be included in school curriculum to improve their understanding of the condition. Introduction: Focal dermal hypoplasia (Goltz syndrome), is an extremely rare genetic disorder characterized by distinct skin manifestations and a wide range of abnormalities involving the ocular, dental, skeletal, urinary, gastrointestinal, cardiovascular, and central nervous systems. The objective of the present series is to emphasize the different typical as well as unusual features of this rare syndrome. Methology: This cross-sectional observational study was performed over a period of 8 years in a tertiary care hospital of Eastern India. Consecutive patients with the clinical diagnosis of Goltz syndrome were studied. Results: A total of 8 patients with Goltz syndrome were evaluated. Out of them, one patient was a boy and the rest were girl. The age ranged from 3 days to 9 years. There was no family history. 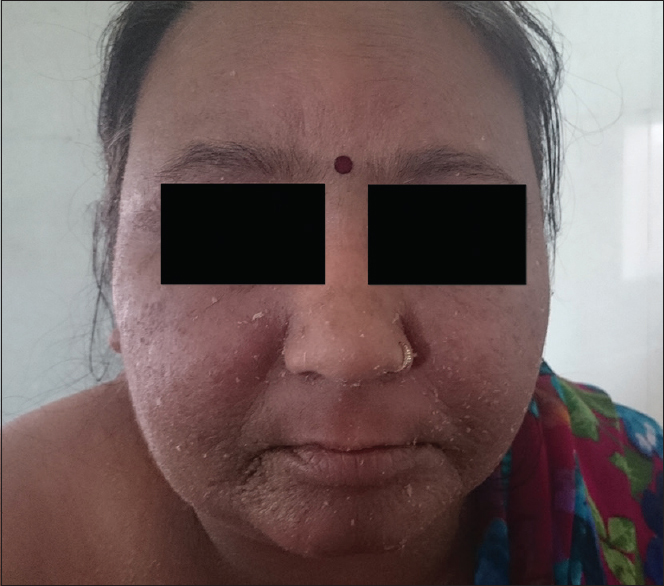 A characteristic Blaschkoid hypo- and hyper-pigmented skin lesions, congenital nodular fat herniation, and skin atrophy were present in all patients. 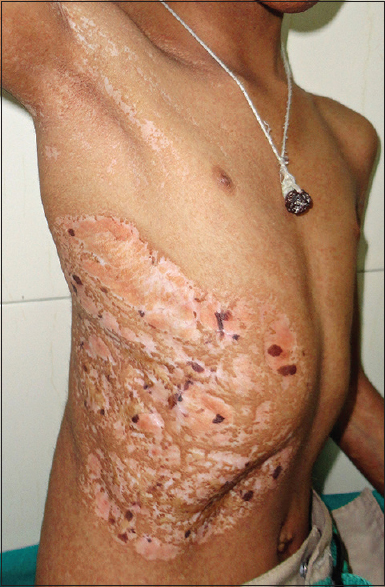 Congenital cutaneous aplasia was present in 50% of the patients. Facial asymmetry and ear deformity (megalopinna and low-set ears) were seen in 37.5% and 12.5% of patients, respectively. 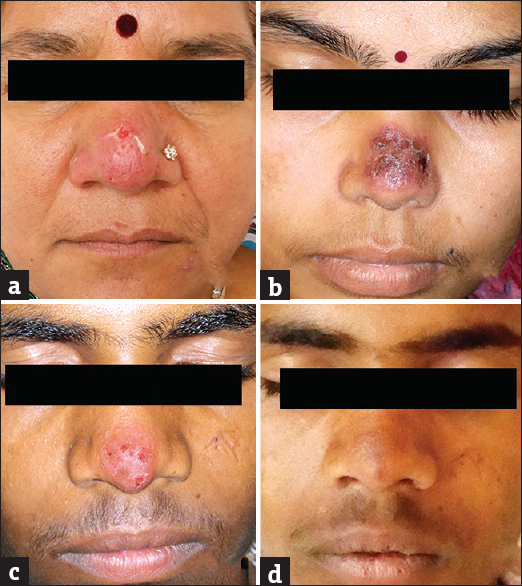 Cutaneous telangiectasia was noticed in 37.5% of patients. 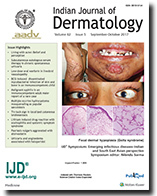 Freckle- and lentigines-like pigmentation within the hypopigmented macules was found in 25% of patients. 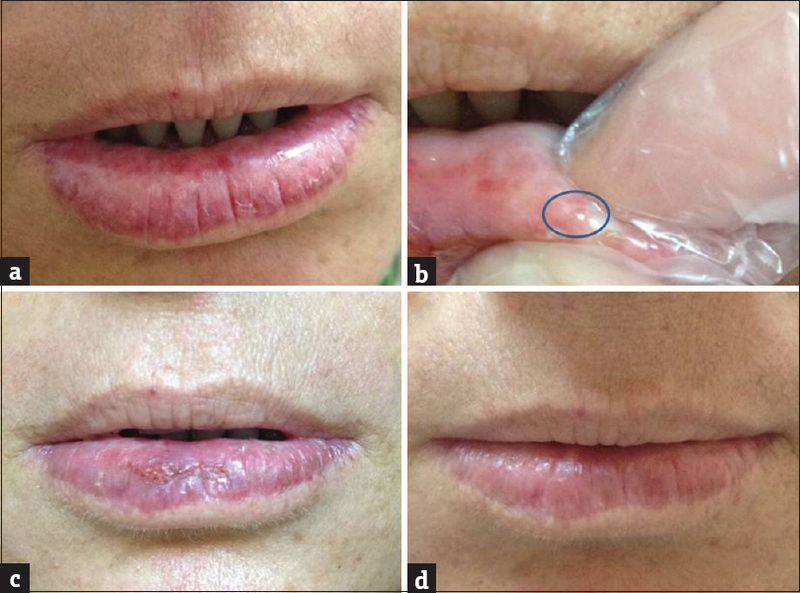 Raspberry-like papillomas around mouth were documented in 6 (75%) patients. Dysplastic nail changes with ridging were seen in 7 (87.5%) patients. Genital abnormality in the form of bilateral undescended testes and microphthalmia with aniridia were found in one patient each. Limb defects were present in all patients. Left-sided renal agenesis was found in one patient. The patient also had multiple cortical cysts of the right kidney. Limitations: Genetic testing could not be performed in the present series. Conclusions: Our case series showed a few unusual or extremely rare manifestations such as undescended testes, dermal sinus, kyphoscoliosis, aniridia, unilateral kidney agenesis, and renal cortical cysts among others. Background: There is a felt need for trying newer therapeutic modalities in patients with chronic spontaneous urticaria, especially in the subset of patients classified as non-responders to antihistamines. Autologous serum therapy is an upcoming modality of treatment, and we decided to study its efficacy by subcutaneous route. Aims: To evaluate the effectiveness of subcutaneous autologous serum therapy (AST) in CSU. Methods: This was a single blind, placebo-controlled parallel group, randomized, controlled study. Twenty-four patients with CSU (11M: 13 F) were given subcutaneous AST and seventeen patients (7 M: 10F) patients were given subcutaneous injection normal saline (placebo), along with levocetirizine in an on-demand basis in both groups. Results: Urticaria activity score (UAS) came down from 35.74 to 7 at the end of 9 weeks and the patients' requirement of antihistamines also reduced remarkably from 5.8 to 1.7 per week in the serum group. Sub-cutaneous saline group did not show statistically significant fall in UAS. Saline group showed UAS 32.8 at zero week to 22.1 at the end of 9 weeks. DLQI showed significant fall in serum group, from 14.26 to 4 at the end of 9 weeks. Conclusion: Subcutaneous autoserum therapy is effective in treatment of CSU. We hereby present our experience of low-dose oral warfarin in the management of three cases of livedoid vasculopathy. Scrub typhus has been previously reported from north and eastern Indian states and areas such as Kashmir, Himachal Pradesh, Assam, Sikkim, and Darjeeling district of West Bengal. It has also been known to be endemic in some parts of South India (Eastern and Western Ghats). However, no cases have ever been reported from the southern districts of West Bengal. Here, we report five cases of scrub typhus from South 24 Parganas and Kolkata, two districts in the southern part of West Bengal, India. 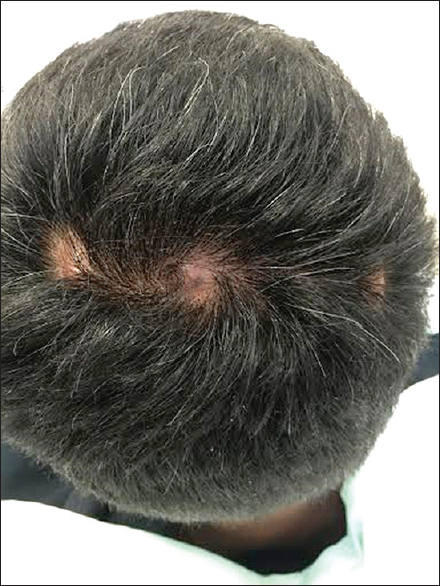 Alopecic and aseptic nodules of the scalp (AANS) is a rare entity, etiology of which is already unknown. It consists of a few dome-shaped, skin-colored nodules associated with nonscarring alopecia. They are usually located in the upper part of the occiput and surrounded by normal scalp. Most of the times, a biopsy is performed to make an accurate diagnosis. AANS have a good prognosis and even can resolve spontaneously. We present a new case of this entity with the description of trichoscopic and ultrasonographic findings that have recently been reported. These noninvasive techniques are useful for the diagnosis and could replace histological examination in the near future. One 2-year-old undernourished girl presented to our outpatient with large erythematous scaly plaques in arm along with multiple bony swellings over nose, fingers, left foot, and back for the past 1 year. Apart from skin and bone lesions the girl was also had intermittent fever, pallor, irritability, and malnourishment. Her parents gave a history of incomplete healing at the BCG vaccination site. 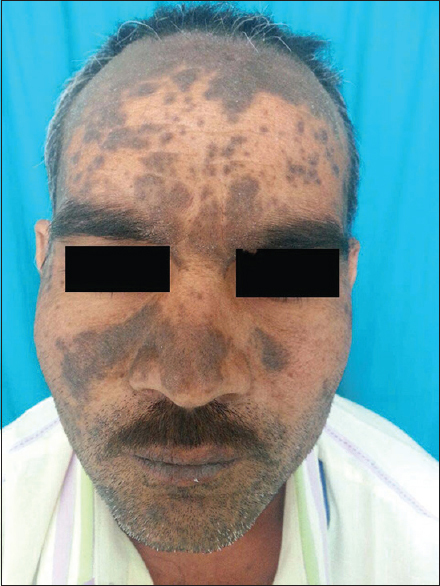 The case was diagnosed to be case of disseminated mycobacterial infection skin and bone with the help of histopathology, radiological examination, and DNA polymerase chain reaction (PCR). DNA PCR from the skin lesion came positive for mycobacteria tuberculosis complex. 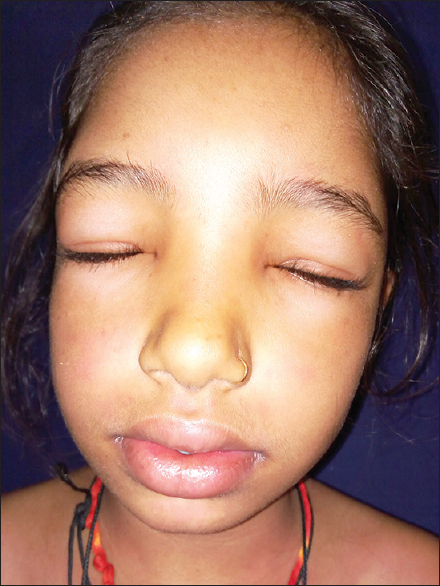 The girl was treated with 6 months of standard antitubercular drug treatment with very good improvement not only of her cutaneous and bone changes but also of her general health and growth. We report the case because paucity of similar infection in literature and for greater recognition of potential epidemiological threat. The occurrence of malignant syphilis in an immunocompetent individual is rare. 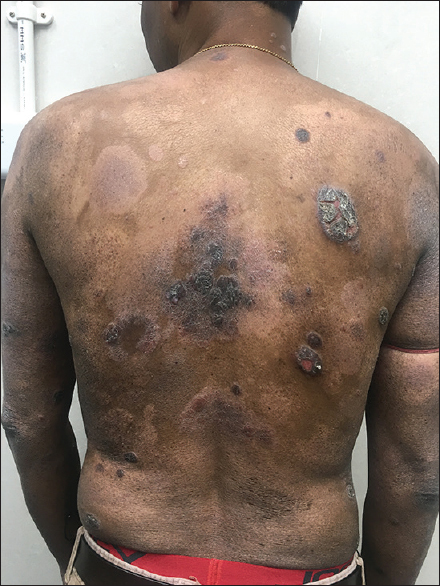 We present malignant syphilis in a 35-year-old immunocompetent male who presented with a 1-month history of noduloulcerative lesions on the torso. Examination revealed multiple pustules, nodules, and deep-seated ulcers distributed on the trunk, face, and upper and lower limbs. Characteristic morphology of lesions, positive serological tests for syphilis, characteristic histopathology, and resolution of lesions following institution of penicillin therapy confirmed the clinical diagnosis of malignant syphilis. Desmoplastic melanoma (DM) is a type of spindle cell melanoma characterized by the absence of pigment. The clinical diagnosis of DM represents a challenge for the practitioner and the pathologists because it can mimic benign or malignant skin tumors and even inflammatory skin disorders. We here discuss a case of a patient presented with multiple nodular lesions of the lower extremity following electrocautary to a lesion in her sole which was misdiagnosed as planter wart. 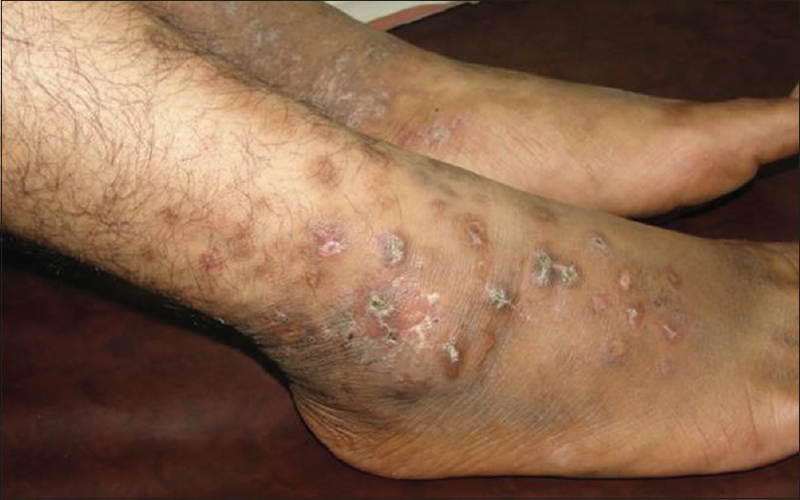 Our clinical diagnosis was Kaposi sarcoma, hypertrophic lichen, or extensive verruca vulgaris. However, histopathological examination showed spindle-shaped cells positive for Melan-A and S100 revealing the diagnosis of DM. 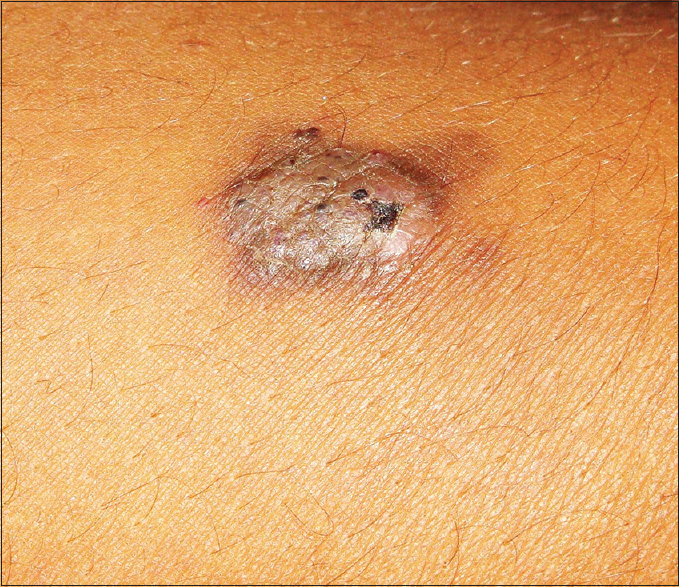 The typical clinical presentations of cutaneous leishmaniasis are nodules, ulcer, nodulo-ulcerative lesions and crusted plaques. Besides classical clinical picture, several unusual and atypical clinical presentations of the disease have also been reported. 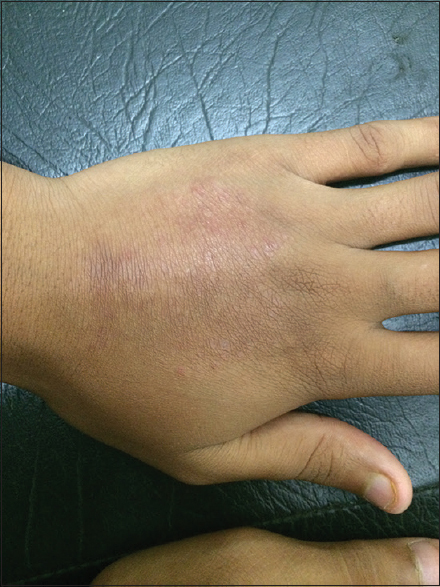 Herein, we report three cases of lupoid cutaneous leishmaniasis to highlight the extended clinical spectrum of CL. Tissue smears were positive for Leishman-Donovan (LD) bodies. 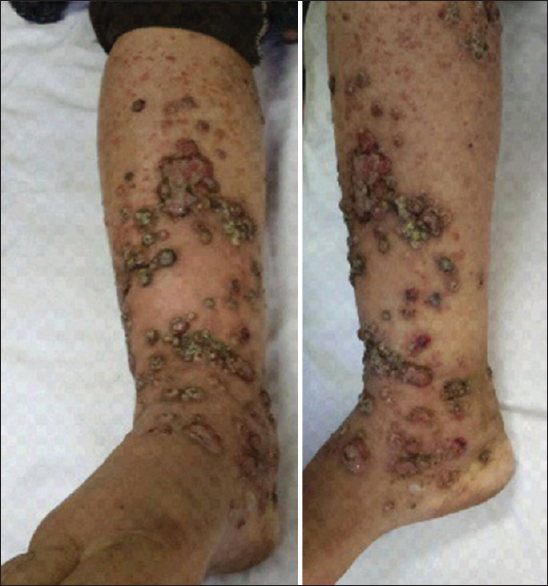 All patients were treated by azole antifungals with favorable response. Eccrine syringofibroadenoma (ESFA) is a rare eccrine ductal adnexal tumor. 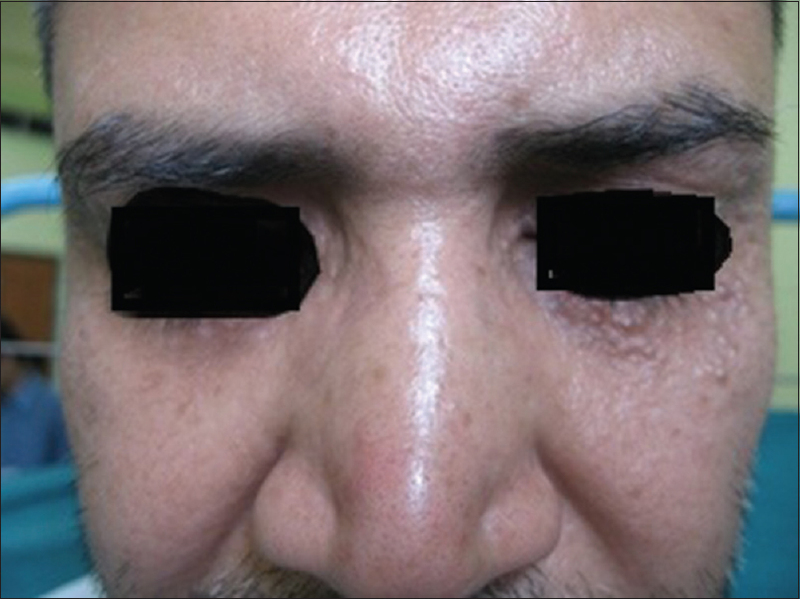 It shows variable presentations as solitary or multiple nodular lesions arranged in different patterns. It is most commonly seen in middle-aged to elderly patients, and most common sites include the extremities. Classic histopathological findings show anastomosing cords and strands of uniform cuboidal cells surrounded by fibrovascular stroma. Herein, we report a case of reactive ESFA which developed on the perianal region of a 31-year-old man. 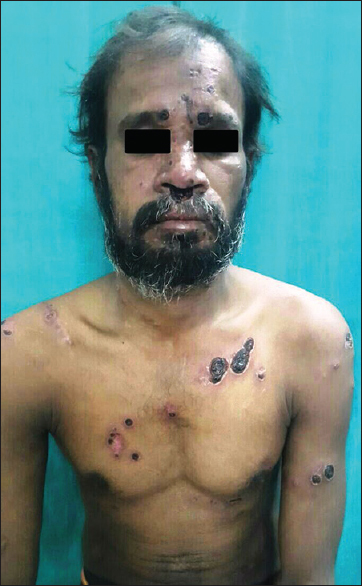 Occurrence of two mycobacterial infections Tuberculosis & Leprosy in a single immunocompetent person and at single site is very unusual even in endemic countries like India. We report the case of 23yr old male, who previously presented with trophic ulcer under the ball of right great toe one yr back and diagnosed as a case of Multibacillary leprosy, now presented with chronic discharging sinus, ulceration, granulation and crusting over same site even under treatment with MDT MB. Such clinical presentation, in corroboration with proper diagnostic test likes AFB staining and BACTEC culture evaluation with no evidence immunosuppression prompted us to make a diagnosis of dual infection with M. leprae and M. tuberculosis at same site.